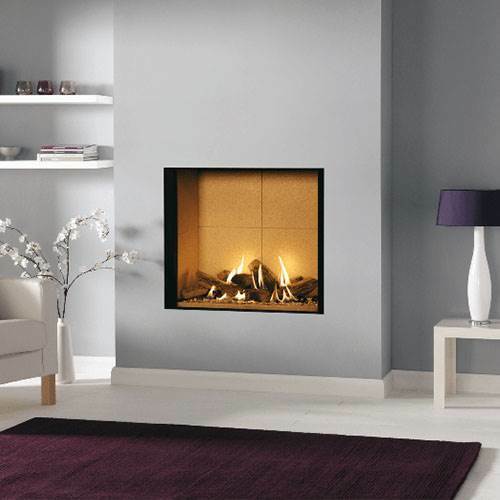 A 'hole in the wall' gas fire from Nexus brings an old-fashioned fireplace right up to date! Our range of hole in the wall fires offers striking traditional and modern designs, convenient remote control, and excellent energy efficiency that means your living room will stay cosy without the need for central heating. Hole in the wall fires can be installed in your existing chimney with very little building work required. (Raised models may require the old opening to be sealed before a new cavity is opened above.) Even if you don't have a chimney, you can still install a hole in the wall fire by choosing from our range of balanced flue gas fires, which can be fitted in a 'false' chimneybreast. Call us on 0116 274 4059 to learn more about our range of hole in the wall fires, or why not drop into our large East Midlands showroom. Our friendly expert staff are ready to answer your questions and find the right fire for you.